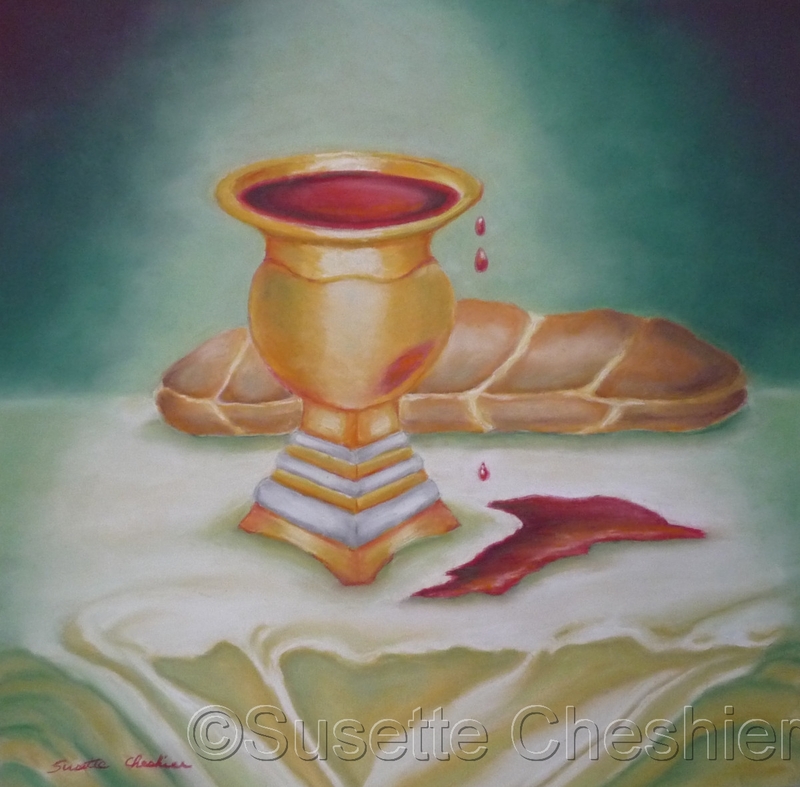 Pastel still life of a communion cup, bread and wine. Light patterns of green, light greens, reds, oranges and white fabric. 5" x 5"7" x 7"9" x 9.25"11" x 11.25"13" x 13.25"14" x 14.25"